eagerly awaited launches, so when she docked at Southampton last month for her naming ceremony, you could feel the excitement in the air. Reporters had flown in from all over the world, as well as a host of celebrities, from TV star Holly Willoughby to actress Sophia Loren, who is already godmother to 13 of the MSC fleet. First impressions count, and from the moment you step inside you’ll be wowed by Bellissima’s size, razzmatazz and luxury Italian style. On Deck 5, you’ll find twin Swarovski staircases – dazzling, fun and crying out for an Instagram post. Decks 6 and 7 feature the buzzy Galleria Bellissima – a split-level indoor promenade with a huge LED ceiling that changes its display throughout the day. This is the heart of the ship, where you can shop at high-end boutiques, stop for an espresso and a cake at the Jean-Philippe Chocolat & Café, or just sit quietly and watch the world go by. There are no fewer than 12 dining venues aboard, offering an impressive range of culinary experiences. As well as the Italian-inspired Il Ciliegio and French-focused Le Cerisier restaurants, the Hola! tapas bar, created by double Michelin-starred chef Ramon Freixa, and the Kaito sushi bar, were also fantastic. For pre-dinner drinks, there’s the suitably bling Champagne Bar on Deck 7, offering a wide selection of champagne cocktails, while on Deck 18 you’ll find the quieter Sky Lounge, where you can enjoy panoramic views – the perfect spot for a martini. Tear yourself away from the restaurants and bars and you’ll find MSC Bellissima’s outdoor spaces are just as impressive as her interiors. There are three pools, including the impressive Atmosphere Pool, featuring a giant screen for movies by moonlight, and the Horizon Pool, which transforms into a night-time entertainment spot. Meanwhile adventurers of all ages will love the Arizona Aquapark, with its 80-metre suspension bridge and hair-raising waterslides. 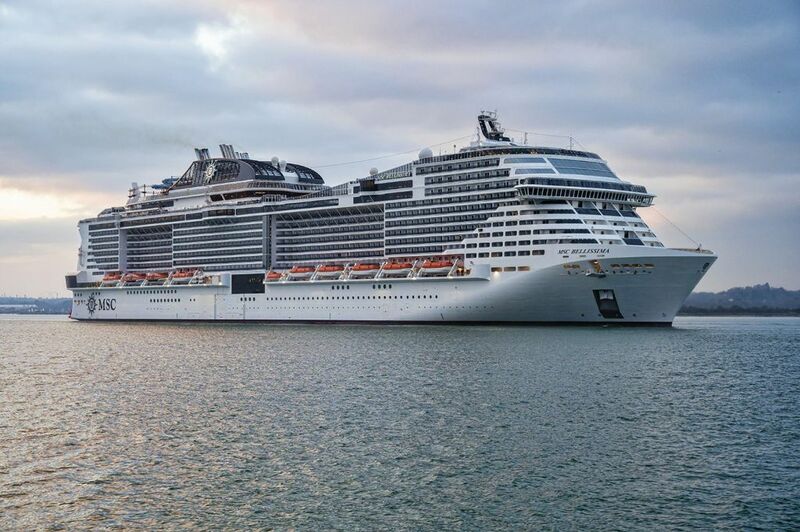 With a ship of this size you expect some seriously spectacular entertainment, and MSC Bellissima doesn’t disappoint. If you enjoy live shows, watch out for twice-nightly Cirque du Soleil performances in the Carousel Lounge. Elsewhere on the ship there are first-class acts every night at the London Theatre. For those who fancy a flutter, there’s the Casino Imperiale for poker and blackjack, while more chilled-out cruisers will love the Balinese Aurea Spa, which offers an impressive 160 treatments, plus a roomy thermal area and Turkish baths. MSC Bellissima is the perfect ship for all ages. 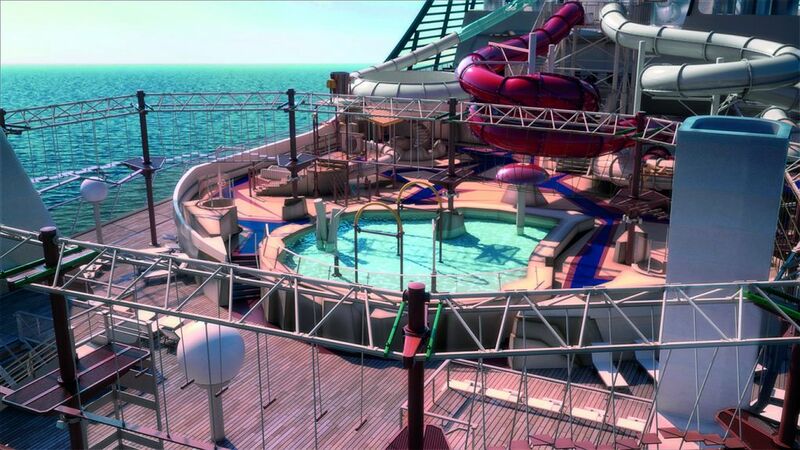 Little ones will love Doremiland, the onboard kids’ club, and older children will go wild for the VR Maze, while mum, dad and grandparents can sit back and relax in the ship’s stylish bars and lounges. Now she’s been christened, MSC Bellissima has a busy schedule ahead. Destination highlights include a classic 7-night Mediterranean cruise to Italy, Malta, France and Spain, a 7-night trip to the Middle East including stop-offs in Oman, Abu Dhabi and Dubai, and an amazing 18-night extravaganza that transits the Suez Canal, with port stops in Italy, Greece, Egypt, Jordan, Oman, Qatar and the UAE. World of Cruising Editor Vicky Mayer began her magazine career in the fast-paced world of showbiz weeklies. She has worked on a wide range of titles including TV Times & Woman’s Own and launched two weekly titles, Inside Soap & Real People, which are still going strong.